Scroll down to view more and to order below. Capabilities - Able to measure depths and heights, get around an edge and inside tubes, circular objects and square in one move, plus the ability to measure and square with marking capabilities using the secondary tongue at 90 degrees with the primary blade. Tranfer lines and work points from underside of work piece to farside of work piece. 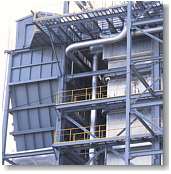 Features - More comfortable to work with. Secondary tongue gives a handle-like grip for reaching to square. "Question-mark" design provides squaring features of a double-square. Primary blade and tongue used as a square, secondary blade and tongue used as a regular square due to the 4 90-degree angles of this square. This square's unique design has multiple squaring features. 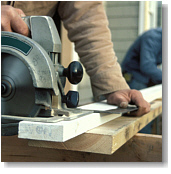 Carpentry: Great for notching out 2x4s and trusses, stair stringers, framing, layout of double corners. 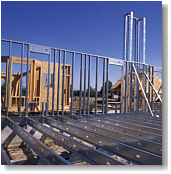 Both exterior and interior surfaces could be checked for square or be marked for measurements. Cabinetry: Measuring and squaring of inside and outside corners in one move. Great for measuring depths and heights. Incisive for squaring overhanging edges. Draftsmen/Architects: Drawing double horizontal lines, double vertical lines and double corners in one move. Dry Dock: Can get around the edge of bulkheads and square. Fits structural pipe. 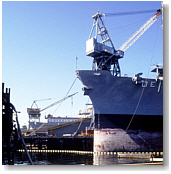 Wet Dock: Able to square pipe and structural steel in wet dock. Due to the inability to use a level on water, provides pipefitters squaring in two moves. Purchase the Modified Square for $24.95 + shipping -- (Priority Mail) in the U.S. via PayPal.